If you go to the official Macworld Expo site, you’ll notice that the conference has, like the Blues Brothers before the movie, been disbanded. MacIT lives on, but Macworld Expo does not, for now. Shouldn’t be a surprise at this point, given the fact that the Macworld magazine has gone through some substantial changes as well, recently. But it is a surprise nonetheless. 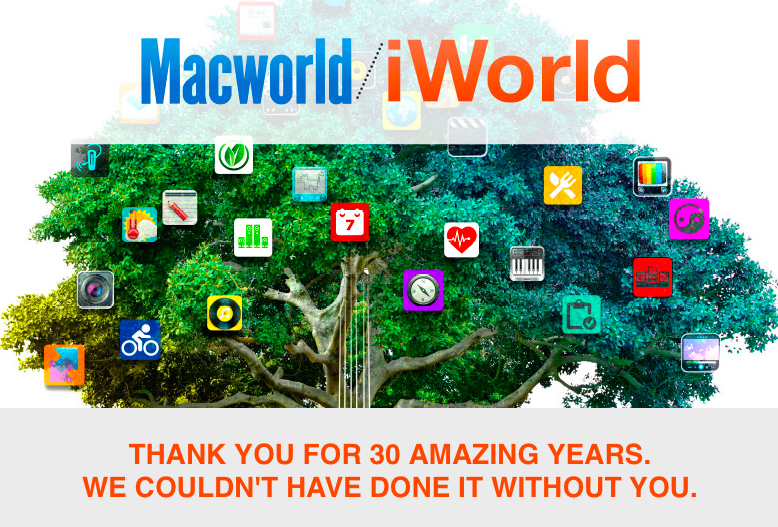 I have many great memories from Macworld, including striking up friendships with young gurus named Bartosh, Dreyer, Regan, Wisenbaker, Rennich, Welch and many, many others back when Apple was an afterthought. Special thanks to Paul, Kathy and many others for their massive contributions towards making the Apple community what it is today. Much respect. Dedication: And Macworld, hopefully I’ll be dedicating this one to you in 2016 when you get the band back together! If you haven’t signed up for one of my favorite conferences ever, MacIT (alongside Macworld) then you should give it a go. If you’ve never been, it’s great and if you’ve been then it’s great to catch up with old friends. I hope to see you there! MacIT®, taking place March 26-29, 2014, in San Francisco, CA at Moscone Center North (alongside Macworld/iWorld), is the definitive event for understanding Apple technology implementation and management in enterprise environments. Our esteemed faculty of industry experts provide detailed, impartial analysis of the technology and solution chains you face when putting iOS, OS X and Apple hardware products to work in large enterprise. MacIT 2014 features sessions on: MDM, BYOD, IPv6, VMs, SNMP, Mavericks, iOS7 and more! MacIT 2014 opens with a thought-provoking keynote: What the Enterprise Needs from Apple – IT Execs Speak Out. In this special panel discussion led by IDG Communications’ Chief Content Officer John Gallant, leading IT executives and a top Apple analyst share their views on what the enterprise needs from Apple. What gaps exist in current Apple offerings? How does IT want to deal with – or not deal with – Apple? How can enterprise IT and Apple build a more fruitful partnership that makes life easier for the business and helps Apple build even better products for a future in which the line is increasingly blurred between work and the rest of our lives? The session will highlight opportunities for Apple and other companies to improve the Apple ecosystem at work. MacIT is uniquely positioned to help today’s IT/IS and Network managers face and conquer the mobile implementation challenges they face daily. Register today to join your IT colleagues, technology leaders and industry experts, at the definitive event for deploying and managing Apple in the enterprise. Register by February 28th to Save! For the full conference program and list of speakers, visit www.macitconf.com We look forward to seeing you next March! Freimark, Nathan Toups and others in one day. I’m sure I’d throw a lot of other names in that list, but either a) I have more to say about them later or b) I didn’t actually see them the day I was there. I hope that I can continue to in some way help to grow and shape the community. Allister Banks, who practiced his talk the night before delivering it, has been a great addition to my team at 318. While his contributions to the community are his own, I’m glad that I’m able to give him the freedom to work on community projects and speak at conferences with company time (as well as what seems like plenty of his own time). I have also brought in a few more people recently that I hope will continue to contribute plenty to this community that has given me so much (and I will likely be hiring more soon if you’re interested!). But Allister deserves praise for a great presentation, assuming it went as well in front of the MacTech audience as it did for me. Now, there is already a ton of hero-worship for Greg Neagle in the OS X sysadmin community. But I’ve never really jumped on that bandwagon. So let me just tell you how I feel about that… It is obviously completely deserved. I could go on and on about his code and his website and his public speaking and even that book he did. But you probably know about all of that already. What impresses me the most is how much he loves where he works: Disney. The way he puts Disney movies into his presentations, the way he talks about the creatives he enables, he’s a Disney man through and through. And from others I know within Disney he’s as highly regarded as they come both at work and in the community. The ability to take that love for your employer and fuse it with the love for the community has a lot to do with the night he was able to help put together for the MacTech community. He is responsible for a lot of the good things that happen inside the Mac community and it is great to see the appreciation that community has for him! Speaking of Greg’s book, Ed Marczak (who wrote it with him) was wearing a tie. He ran dozens of miles around the valley while managing to do a little of his day job and a lot of cat herding of the speakers delivering the presentations he pretty much selected and coached. He called me while I was still developing the idea for mine, checked in before the conference and then while we were there carved out a little time to talk to me. After doing that with everyone, I’m not sure how he managed to have any fun at all. But his hard work has a lot to do with the quality of the presentations and the direction of the IT portion of the MacTech conference. Ed is in every way a class act and someone I hold in the highest regard. AND he was able to pull off a tie with as busy as he was! And then there’s Neil Ticktin. Neil is a speaker, but not on the speaker list. Namely due to the fact that he puts on the conference. When WWDC didn’t have an IT track any more, a lot of people were complainy complainersons. Neil responded not with cluttering my inbox with countless gripes to message lists. Instead he took his position as the publisher of MacTech Magazine. And now it’s a national traveling show for consultants and in depth as well as a national conference showing off the best and the brightest. Neil (and his team) worked hard to put MacTech Conference together and their contributions to the Apple community are something to be proud of. With MacTech, MacWorld/MacIT, MacSysAdmin, Penn State MacAdmins and others one could spend all of their time just preparing for and attending conferences. With JAMF Nation User Conference this week, the conference season is basically coming to a close. I wish I could have spent more time with everyone and hope that I am able take part again soon. You all give me such hope for the future of the community and the platform, and I thank you for that and for the friendship you’ve provided me over the years. I really wish I could have stayed up there all 3 days. Thanks to everyone I spoke with for the time you took to hang out. And for those I didn’t get a chance to see, I look forward to hearing about how you’re doing next time our paths cross! Now, let’s go ahead and book our flights early for MacTech 2013: Nov 6-8, 2013. I won’t be able to make it to Macworld this year for a number of reasons, most notably that the scheduling gods (unrelated to the Norse pantheon, but similar to that of the Greeks) have me booked on a job that week. However, it’s an event that I wholeheartedly believe in. I think the more of these types of conferences there are, the better off we, as a community, are. My absence is not without my desire to be there, that is for sure. For those who haven’t been involved in the community of Mac Engineers, but who have a compelling narrative to tell, I’d recommend submitting a presentation. As such, the Call for Speakers is now open. If you’ve never spoken at this event, or attended then going as a speaker would be a really great experience. Nothing against the people who go and speak on an annual basis, but I think every community needs infusions of new blood on an annual basis (visions of Keith Richards with a MacBook are dancing through my head right now). I think it is healthy and keeps the heterogenous nature of the community at a maximum. I am sure that the people who pick the speakers would love to take some presentations from people they’ve maybe never met and don’t know – and even possibly help develop the proposed sessions into a more flushed out experience for the audience. Maybe you just did a large deployment that you can talk about, or even a small deployment that’s very unique. Maybe you wrote a script or just found a new workflow that requires fewer manual steps to achieve a common goal. To me, the goal is to be excited about something new with regards to technology and communicate both the excitement and the technology in a way that others can understand. I’ve not always been the best at this, as such a skill for most people is a work in progress. But you can’t get to working on it until you actually propose something! Good luck and please feel free to ask me if you need any help working out the kinks of one of these. I’ve been a speaker a number of times in the past few years and would love to help in any way I can! And of course, for those who still don’t want to speak at Macworld, I’d still strongly recommend going. I’ve learned so much over my years attending, I can’t imagine not having done so. From the nights at Dave’s to the mornings at some random diner in I’m still not sure what part of San Francisco (or that one time at the diner in Sacramento the next morning). I’ve shared many great times there and look forward to doing so next year. Hopefully you’ll be an old vet by then, if not already! MacTech Day 1 My MacTech experience started last night. I flew into Los Angeles and was picked up at the airport by my coworker, Zack Smith. Given that I lived in Santa Monica for over a decade, I drove the Mini Cooper that 318 bought recently from LAX to Studio City. On the way, I got to get caught up with Zack’s stories from a month of vacation (living vicariously through others definitely has its moments). We got to the Universal City Sheraton in less than an hour during rush hour. Given the 405 being all messed up, we dodged a few bullets and cut through South Central Los Angeles on our way to the valley (my apologies to the 2 or 3 guys I ran over when passing the needle exchange at Highland and Romaine). I have to give it to the Sheraton: we were checked in and back downstairs on our way to dinner within 10 minutes. We had dinner at Wasabi and were back at the hotel bar within about an hour, and that’s when the conference began in earnest for me. In the hotel bar, I ran into friends from conferences past and met new people as well. We discussed refining upcoming presentations, deploying iOS in Lion Server-based environments and troubleshooting various problems with Lion Server. It was just the kind of evening that causes my wife to not travel to conferences with me any more, but an evening that I really enjoyed. Luckily, I was in bed by midnight (due to a bit too much caffeine I didn’t actually fall asleep ’till after 4, but I did manage to write at least 3 scripts and a chapter of a book in my head, none of which made any sense when I woke up). The next day I woke up, ran through mine and Zack’s presentations with him and started the day with a great keynote by Guy Kawasaki. His take on Apple, innovation and lessons he learned while there contained at least a few insights I can’t wait to bring home and implement at 318. Next, I sat it on James Wilson’s presentation. Despite technical difficulties, James was able to explain sanely integrating gestures into iOS applications better than I have heard of it to date. I was also really excited that my 3 year old isn’t the only toddler who has mastered the iPad! Then I got to sit through a great presentation by Randy Saeks and Justin Rummel. They covered changes to Lion Server. I was a bit disappointed reading the tweets through that presentation from people that don’t see themselves having a future with Lion Server. I find that despite a few flaws, Lion Server is a new, interesting perspective that has a chance to innovate the future of servers. I thought Justin and Randy did a great job with the presentation and look forward to seeing more from them at MacWorld in January. At 318, we’ve developed a tool that allows our customers to sign work orders from an iPad. I ended up getting to also sit through a presentation by Justin Esgar, the man behind SignMyPad, which I guess I could have used instead of building our own (taking a page out of his outsourcing slides). I learned of a few new sites to leverage for crowd sourcing and social networking, always useful. Then Zack went on. And as usual, I was reminded of why he’s one of my favorite people ever. He managed to teach a number of complicated ideas in a presentation on Cocoa development for SysAdmins. While Zack only had a limited amount of time, I thought he did a good job of keeping the attention of the audience, making people laugh and imparting some complicated technical concepts all at the same time: public speaking skills made to be emulated. Zack showed a bit more of the 318 internal code than I was expecting, but given that most of it is bound for open source projects, it’s timely to do so! The last talk of the day was Scott Neil, who took the stage to talk about automating tasks and scripting in OS X. There were examples in a number of different languages and as usual, Scott did a great job (thanks for the mention, btw)! At night, we were able to network, meeting lots of new people (many of whom we’ve been interacting with in various social networks). Everyone else went off to the tour of Universal while I stayed behind and worked on fine tuning my presentation. MacTech Day 2 The next day had a lot of content as well. It kicked off with Greg Neagle, looking at doing Software Update services without OS X Server, a topic I’ve been looking into a lot for OS X, Mac App Store and iOS App Store. Then Rich Trouton did a great job covering FileVault 2 and looking a bit past the article that he published in MacTech last month. After that, the Google guys took the stage to look at weaponizing Munki for the masses using Simian Server, which I had missed at MacWorld last year because I was in the same speaking slot as them. It was great to see what they’re doing and what parts could be borrowed into a Managed Services type of environment. Then I got to see Harald Wagener do Life After the Xserve. Having done some articles for MacTech with a slightly different take on this topic, it was great to see that others are looking at which services that require rack density can or should be moved to other platforms. After lunch, Zach Williams did a great talk on version control. He has a command line ledger. I mean, how cool is that?!?! Then Larry Jordan gave a good talk about media and IT. His history of where various video idiosyncrasies comes from was entertaining to say the least (good, clean, old school video humor, if there is such a thing, is hard to come by!). Then Nathan Toups did a great talk on building up a good sysadmin team (good to see how important documentation is to others) and Harald Monihart, one of the smartest guys I’ve had the opportunity to meet in a long time, showed some of his great work in doing something similar to what we’ve been doing, thin imaging with self-service-style overlays to automate the final piece of user setups. Really great stuff. Allen Hancock then gave a talk near and dear to my heart (and wallet) on managed services and freeing oneself from the hourly mindset. Finally, Gary Larizza gave a great presentation about mCollective. A picture of me made a small cameo in his presentation. As usual, his demos were spot on and his presentation skills prove that even if you break all the rules for color schemes and amount of content per slide (per Guy Kawasaki at least), that presentation skills and technical chops trump parlor tricks. My talk was last and went pretty well (it’s amazing just how much rehearsing a presentation helps). MacTech Day 3 On the last day the developers and systems administrators joined up in the same room and watched presentations from Jan Monsh on OS X Security, Daniel Jalkut (of Red Sweater Software) on effectively bypassing the Mac App Store for developers and then I kinda’ got pulled in a lot of different directions and had to miss the next two. I did, though, get to sit in on the Code42 talk, covering the new CrashPlan PROe software. All I can say about that is that the new PROe stuff is just awesome. The ability to automate clustering and unclustering of CrashPlan servers alone is one of the coolest features I’ve seen, and the simplicity with which new nodes are added is pretty unparalleled in enterprise-class scalable solutions of this type. And the fact that you can decommission nodes as easily as they are added to the cluster is pretty rad as well. Then I got home to the cold and got super-busy on a bunch of other stuff, before attending the JAMF User Conference here in Minneapolis, which is why this is a bit delayed. I had the luck of attending MacSysAdmin a few weeks ago and I wish I had written up a long diatribe about that as well. But it is really the combination of the 3 that has me being so verbose here. You see, MacTech is one of three and happened to be the one I was taking notes at during the show. But being able to see the number of people writing code, cranking out scripts, figuring out how to make little things work in OS X Server, regression testing, charting new courses for 1-to-1 deployments and just being awesome people all around that has me thinking that in the +10 years that I’ve been a pretty active member of the Apple community that we have never had this massive a talent pool before. And the talent is interwoven and interconnected, due to the various social networking mediums, in ways that I have never seen before for any platform. The next few years will be interesting times. Armed with the super powers that these types of events are giving systems administrators, I think that more tools are going to be coming out in a much higher frequency than ever before. People like Greg Neagle, the good folks at JAMF software and others are posting more, github’ing more and in general putting more information out in the community than ever before, and this information is being digested in ways that are more far reaching and even competitive in some ways than I’ve seen within the Apple community. My talk at MacTech revolved around the changing dynamic between iOS and Mac OS X, looking at a potential unification of the operating systems. It is a good thing that the pool of talent is now so large. We’re going to need a lot of new tools to meet the deployment, integration and management challenges that iOS will pose to our community over the upcoming 5 years, as the zenith of the Mac community is hopefully eclipsed by the community of an increasingly iOS-centric world. Now, I’m looking forward to MacWorld and the introduction of their new MacIT conference, coming up in January in San Francisco. Hope to see you there! Hopefully, I’ll be able to see you at all of the conferences in the future. You really can’t go wrong with MacIT, MacTech, MacSysAdmin or any of the others that are spinning up. But if you can’t attend, you can often access slides and videos. The MacTech slides, being posted recently at http://www.mactech.com/conference/presentations-speaker.